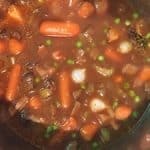 Instant Pot Vegetarian Bourguignon is so good, you will think it is made with meat. What a terrific hearty vegetarian option for Thanksgiving, or anytime! 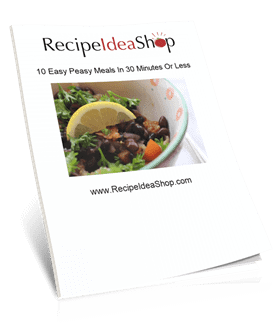 And all you need to add is a Crunchy Sweet Spinach Salad and/or some bread for a complete meal. Hi. 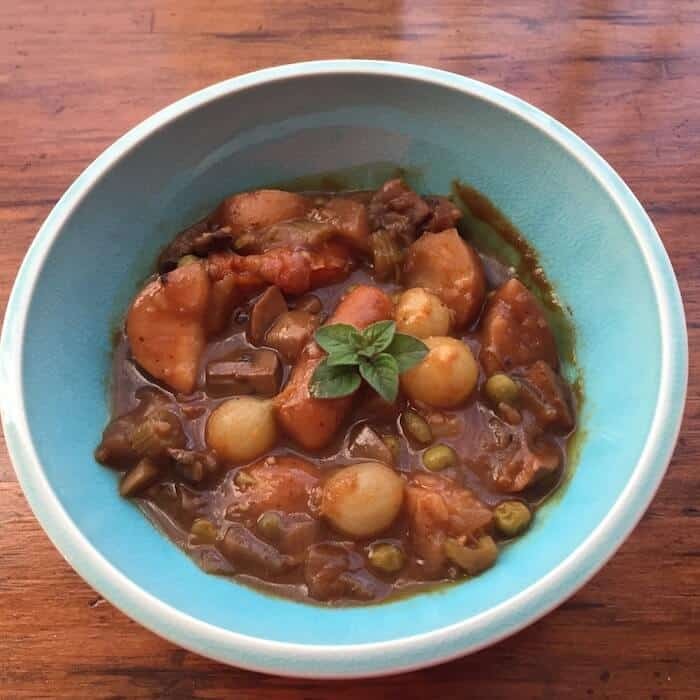 It’s Lois, telling you about this amazing Instant Pot Vegetarian Bourguignon recipe I made last week. I had a friend over for supper and she ate three bowls of it! I’d say that’s great testimony. I did discover that the Worcestershire sauce I usually use, Lee & Perkins Worcestershire Sauce, contains anchovies, so if you don’t eat fish, be sure to substitute a vegan version of Worcestershire sauce. I merely looked for gluten free. 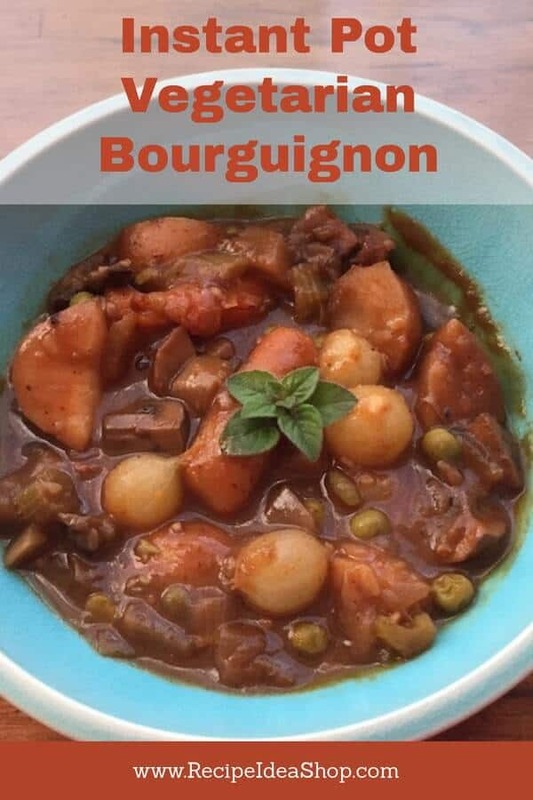 This vegetarian version on Beef Bourguignon tasted so good, I wouldn’t have known there wasn’t any meat in it. The Wizard’s Organic Gluten Free Vegan Worcestershire Sauce, 8.5 Ounce. Buy it on Amazon. Have you thought about making videos? Here’s a free video summit available. This Instant Pot Vegetarian Bourguignon is a hearty stew that will make you forget you like meat. It is so tasty and delicious, everyone will be moaning in delight when they eat it. 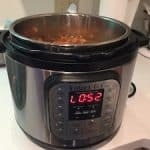 Press the Sauté button on your Instant Pot. When the sensor reads “Hot,” add the oil and wait a minute before adding the veggies. Add the onion, turnips and carrots and sauté until the veggies are starting to brown. Deglaze the pot with the brandy. This means pour the brandy in and using a wooden spoon, scrape and loosen all the little brown pieces that are in the bottom of the pan. Add the celery, potatoes, mushrooms, and garlic to the pot. In a bowl, whisk together the red wine, veggie broth (reserve ¼ cup), salt, pepper, tomato paste, soy sauce and Worcestershire sauce. Pour this mixture into the pot and give the pot a little stir. 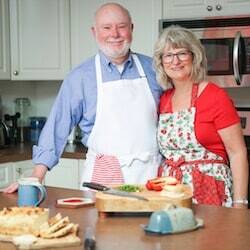 While the meal is cooking, whisk together the remaining vegetable broth with 4 tablespoons of gluten free flour and the Kitchen Bouquet browning sauce, which makes what is called a slurry sauce. Set the pot to “sauté” and add the pearl onions, peas and the slurry sauce. Continue to cook, stirring frequently, until the gravy thickens (about 5 minutes). Serve immediately in soup bowls. 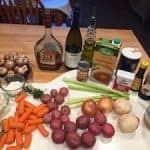 Instant Pot Vegetarian Bourguignon Nutrition Label. Each serving is about 2 cups.